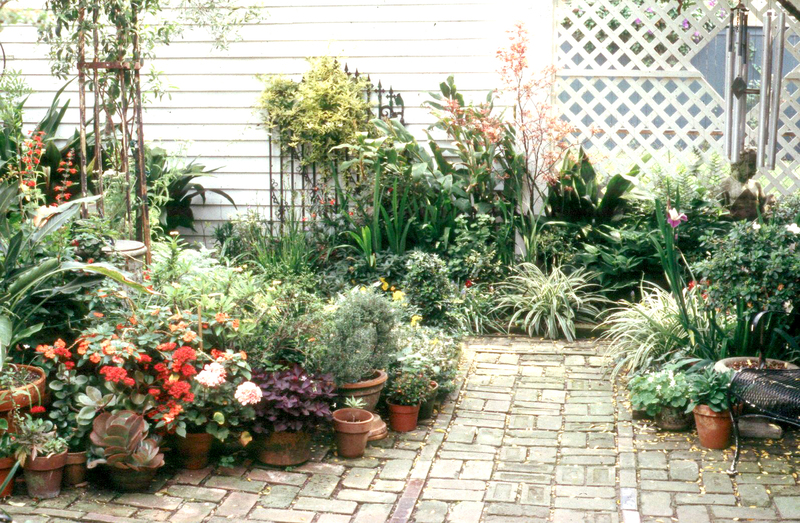 The Northwest Louisiana Master Gardeners will hold their annual spring garden tour, Le Tour des Jardins on May 2 and 3. This year’s garden tour will take you through nine beautiful private gardens throughout Shreveport. Tour hours will be 10 a.m. to 5 p.m. on May 2, and 1 p.m. to 5 p.m. on May 3. Advance tickets are $10 and can be purchased at any Citizens National Bank, or by calling the Master Gardeners office at (318) 698-0010. Tickets may also be purchased at any garden on the days of the tour for $15. Ben Humphrey Garden. This neighborhood garden invites you to stop by and visit over the owner’s unique hand-made white fence surrounding the property. The gardens are filled with statuary, azaleas, ferns, hellebores, ginger, oleander, cannas and hanging baskets. Dr. Steve Russell Garden. This formal garden planned and overseen by Dr. Russell is located in the historic district of Fairfield Avenue. A magnificent live oak in the front is over 200 years old. There are crepe myrtles, a parterre garden of boxwood, hostas, agapanthus, camellias, dogwood and a delicious fig tree. Sharon and Mike Moritz Garden. This eclectic city garden contains everything from an herb garden in water troughs to a shade garden with a beautiful bed of ajuga groundcover and a bird-friendly area under large trees. You will encounter a kaleidoscope of color: impatiens, hostas, lamb’s ear, clematis, angelonia and much more. Camille Millen Garden. This designer’s garden has a carefully laid out path with ferns and hostas to the koi pond filled with big, colorful fish. The outdoor garden room is filled with a hibiscus tree, evergreen red wisteria, red bananas, daylilies, crepe myrtle, a trellis and a shade garden. Betty Wilson Garden. This precisely planned garden in The Haven is filled with some very unusual plants. The shade garden is filled with a zig-zag tree, evergreen red wisteria on an arch, roses and hydrangeas. Savannah holly and Foster holly line the path to the covered outdoor entertaining area. Dottie and Don Murray Garden. This colorful garden has been planted for sun and shade. Under a pergola there are ferns, hydrangeas, liriope, begonias and Confederate jasmine. Toward the sunny garden you will find roses, butterfly bush, cosmos, pots filled with colorful annuals, and behind the fence is a small vegetable garden. Drs. Sharye and Steven Atchison Garden. This Southern garden is centered around an immense sugar kettle fountain in the circle drive at their A. Hayes Town designed home. As you enter the courtyard shade prevails with hostas, ferns, impatiens and another fountain. In the backyard around the pool and outdoor kitchen are roses, Annabelle and Limelight hydrangeas, azaleas, phlox and lantana. A bridge leading to a pond and red barn are encircled by althea, coneflowers, loquats, sycamore and muscadine vines. There is also a grove of D.D. Blanchard magnolias. Rhonda and Ben Tullos Garden. This professional garden by Fleming Landscape and Irrigation and landscape architect, Scott Crane, is set on an acre in south Shreveport. Gardens surround this newly built home giving it a true southern flair.